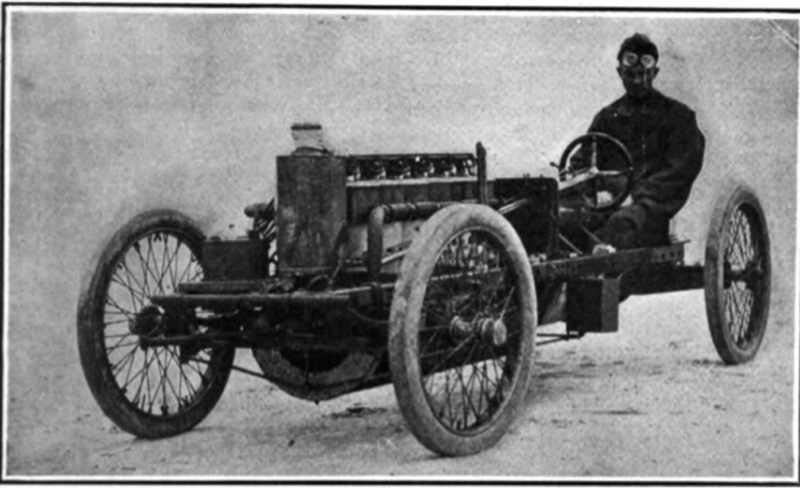 I came across another story about the Ford six cylinder racer and the "missed" one mile world record, September 1905. 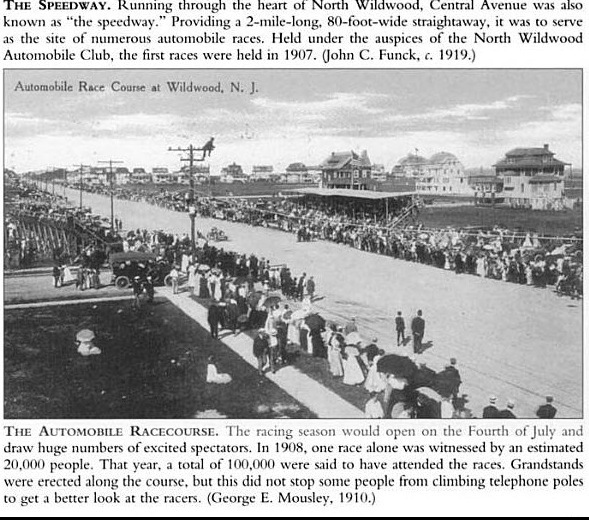 Three of the fastest racers in the world met at Atlantic City (Ventnor Beach) in early September 1905 for two days of racing. 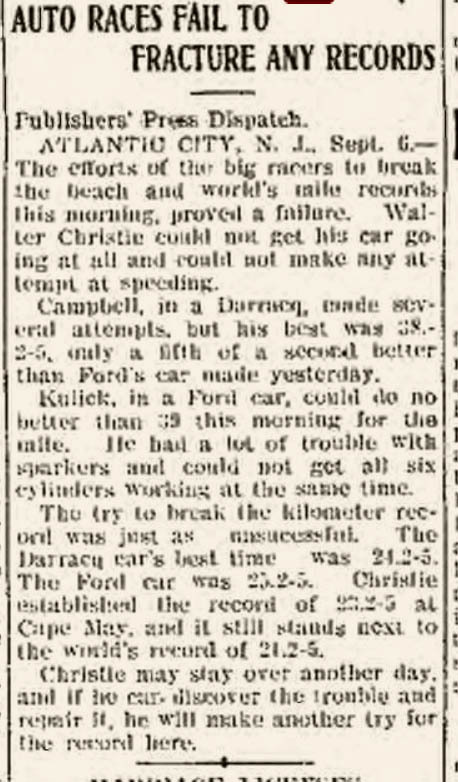 During the event, the Ford racer came so close, first setting the beach record with a 38 plus second mile run (that was later beat by Walter Christie). 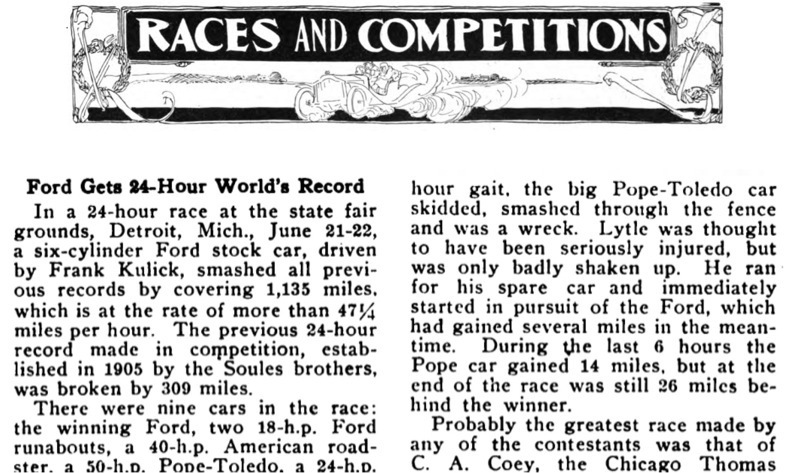 Then, the Ford racer set a world record in the "mile for competition" race. 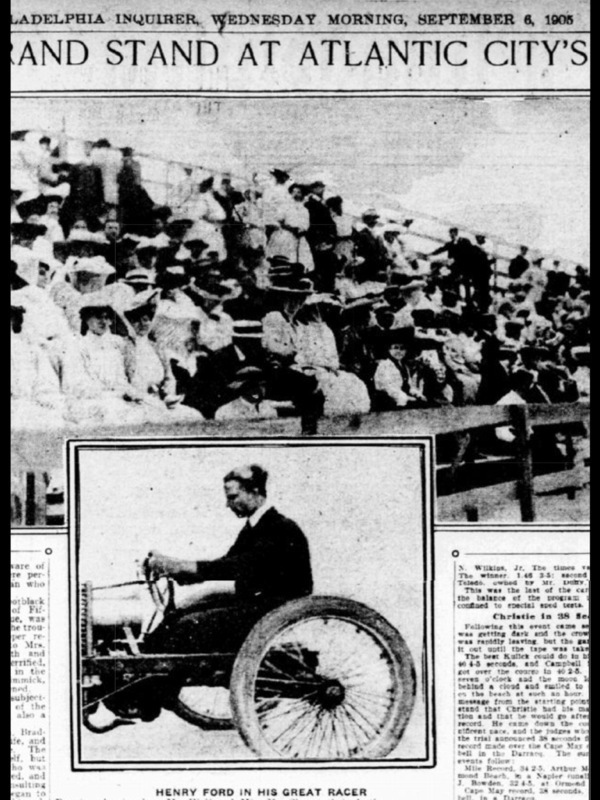 Unfortunately, as this account says, Al Cambell, driving the Darracq racer, protested because the Ford driver, Frank Kulick crossed the start line ahead of the Darracq (rolling start). Although the start would not have affected the time, the protest was upheld, and the world record did not stand. As with many things in life, one only gets so many chances. 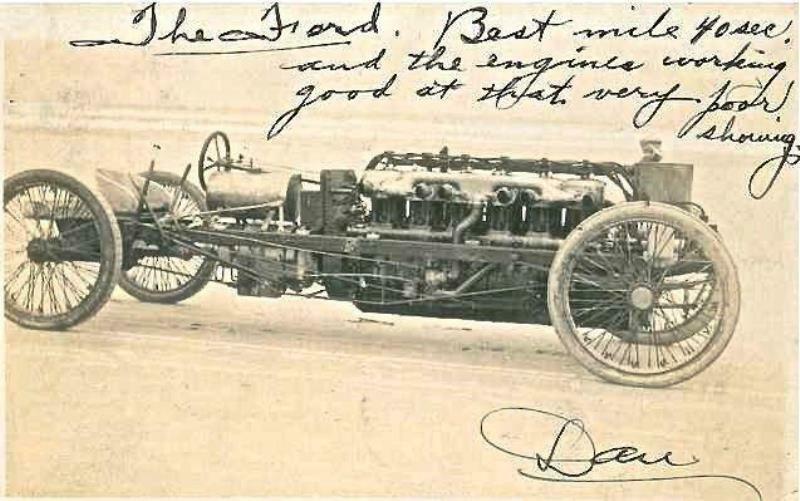 The six cylinder racer would have a few more attempts and near misses left, but this was the best chance to forever make the record books, and a place beside Ford's famous 999 as a world mile record holder. Instead, the chance was missed, and the rest is "history." All I want for Christmas is "one more chance." You're going to have to explain why crossing the start line before it was time would not be a reason to discount the Ford run. Here is another account of the day that states that they had problems getting the Ford to run on all 6 cylinders. Since it was a "rolling start" I doubt both cars would ever cross the start line at exactly the same moment. The time was what would signify the record. In other words, the winner of the race would obviously be whoever crossed the finish line first. However, going under 41 seconds would get the "record". I have another account that says the even without the lead the Ford would have had the record. I'll put it up when I get home and "dig" it up. These racers all seemed to be "temperamental." 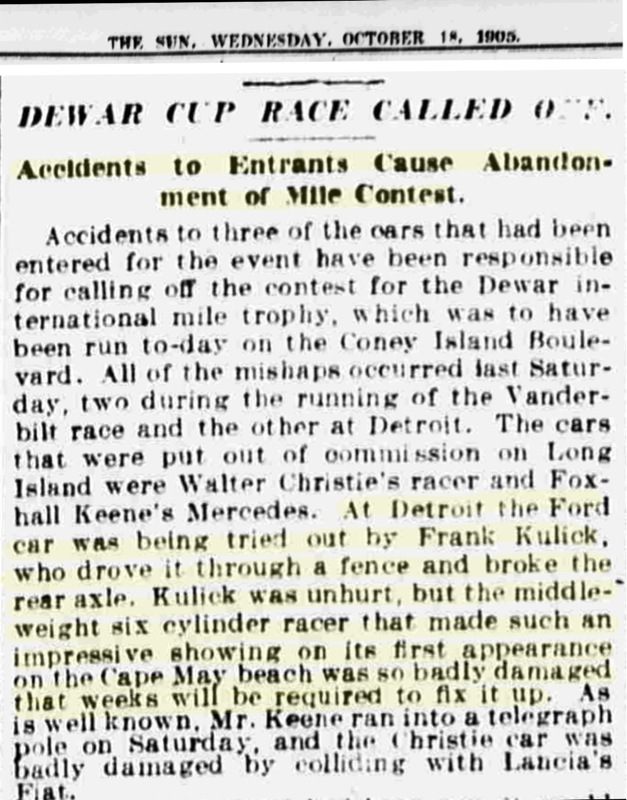 Ford and another well known racing name (maybe Christie, memory ) lined up a Dewar challenge, then two or three of the challengers weren't working correctly so the event was called off. 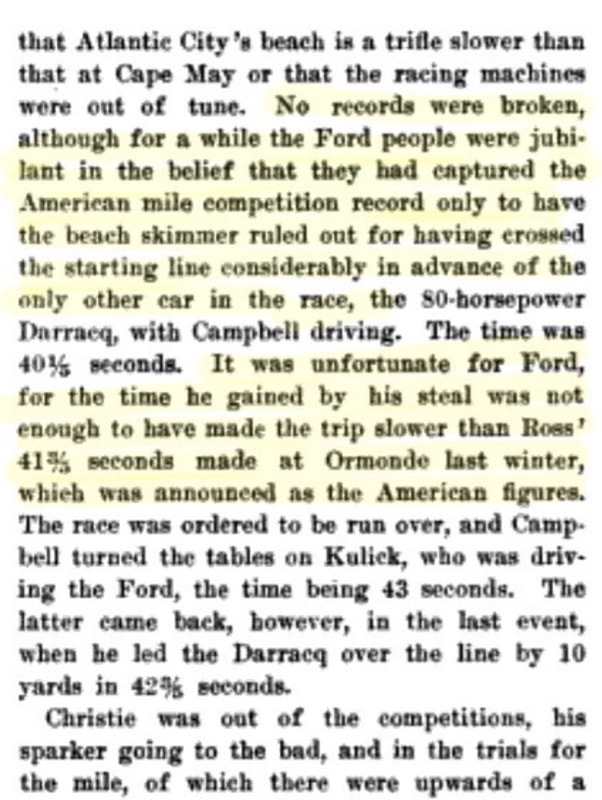 This account appeared in "Motor Age" and said that even if the distance the Ford crossed the start line were subtracted (the article calls it "his steal") the Ford would still have had the record. It appears to me if Cambell/Darracq not appealed the record would have stood. The record was dependent on time, against a competitor. 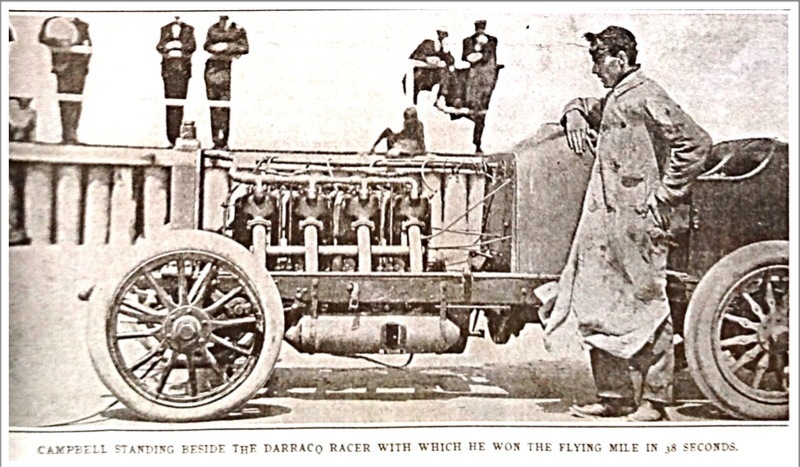 Subsequently the Darracq won in a rematch with the Ford, and then in a third run the Ford timed better than the Darracq, but not a world or American record. As with the Model K, history tells us the Ford six cylinder racer was a "failure." 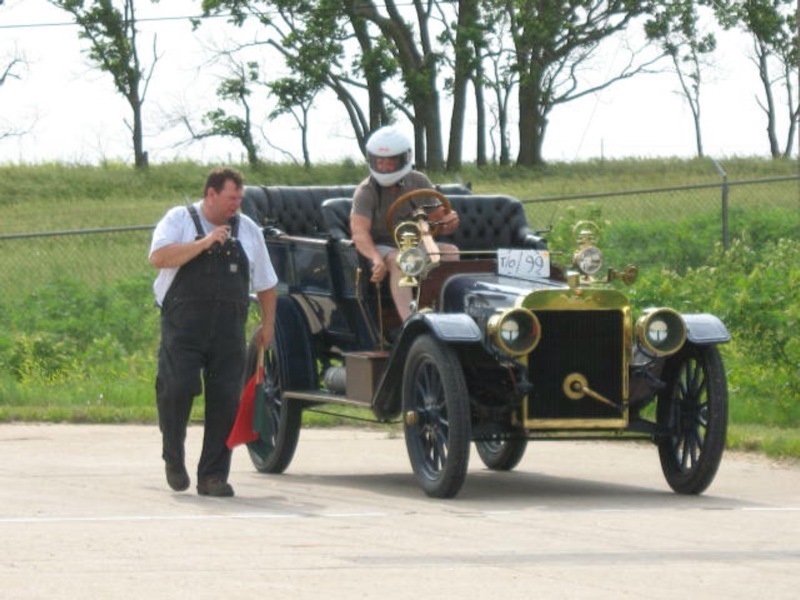 While the Six Cylinder Racer didn't establish any world or U.S. records, it was consistently close, and as a result invited to the most prestigious events of 1905 and 06. It seems historians have overlooked the fact the racer was among the fastest, and was "invited" to events (one couldn't just show up" at these events). No other major car maker's racer was included in these special mile and kilometer record attempts. As seen by the news accounts above, the results were carried throughout the country, adding prestige and recognition to the Ford "brand." Coincidentally Ford Motor Company classified racing expenses under the advertising budget. Thanks for the link Ron, good to see vintage racers and hot rods running. Looks like great fun. Gonna try to make it for the 2014 races. My son's and I are getting parts together to build a speedster but if it's not done I may strip down the runabout and take that. Like the idea of running on the hard packed sand at the waters edge. Here's a post card from that day in Florida. Notice what the text says. Yes, only a 40 second mile. They were hoping for 38 or less. I posted this pic several threads ago. The point is? One of the fastest racers in the world. Of course they are disappointed when it doesn't make a world record. Meanwhile, what is the point? I'm damn tired of this crap. If you don't think the Ford six cylinder racer was special, say so, and move on. Go find another brand that you care more for in1905-1908, I don't care, just back off Ford if you don't think they were something special at that time. The only Ford production car prior to 1932 (and possibly later) to hold a World Record. The only one! This is the legacy left by the Ford six. The 40 second time recorded was an error. That's why it was not a record. The science of capturing time for racing events was not terribly scientific prior to Oliver Riley and his Chrondek timing devices. In the case of the race we are discussing, the time keeper would typically be at the finish line with a stop watch. The cars in the contest were expected to cross the starting line at the same speed, all abreast of one another. When the group crossed the starting line a person would signal the time keeper to start the stop watch. This would require some sort of signal, perhaps a gun shot, or sometimes a telegraph key that activated a signal, or perhaps simply waving a flag that could be seen by the time keeper at the finish line. In the case of the failed record attempt the Ford crossed the starting line ahead of the line of cars. The time keeper was given a signal when the line of cars went across the start line - the Ford having already crossed. Since the Ford arrived at the finish line first, the time keeper would have stopped time at that moment. 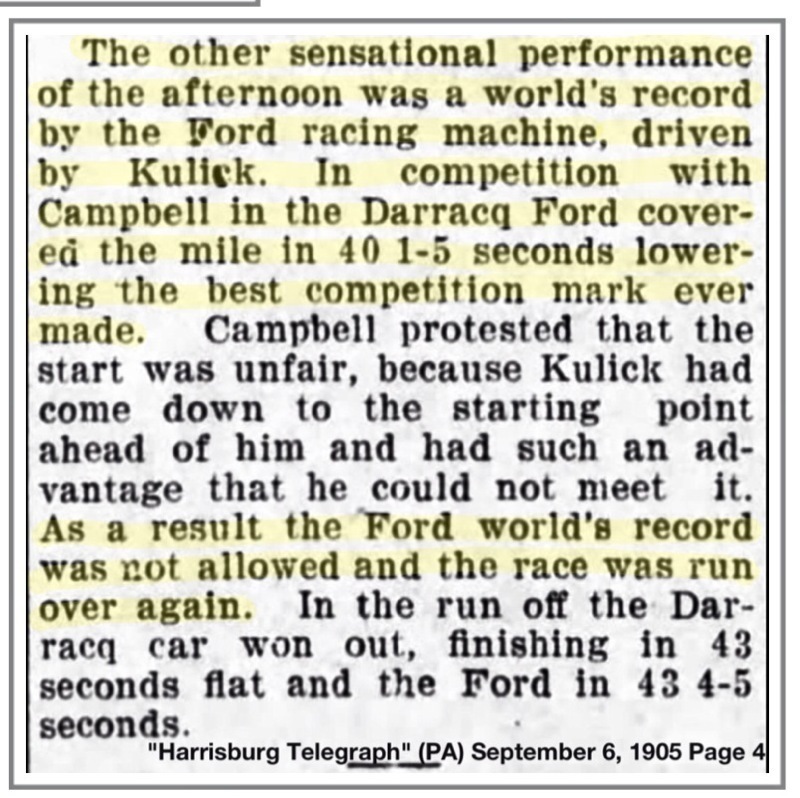 So the 40 second time recorded for the Ford was not accurate, and the Ford was not given the record, and the race had to be rerun. "The 40 second time recorded was an error. That's why it was not a record." That is a fabrication! 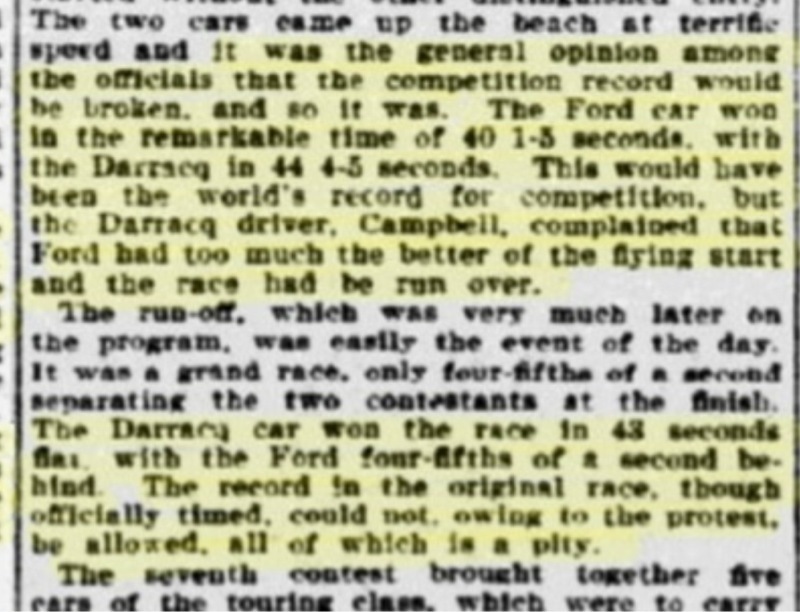 There were many articles written of this race, and all concurred the record was not allowed because the two cars did not cross the start line at the same exact time. These were "rolling start" races, and for competition races both cars had to cross the start line together. Obviously this would add a degree of difficulty over a straight time run (also rolling starts for most record time races at that time)..
Produce an article that says this record was not allowed because of faulty timing. Also, did you reproduce the postcard photograph from one of my posts? I would like to know if you found it elsewhere or pulled off this forum? I noticed the poster above said the race time was off, and this was the reason for the disqualification. He also said "Here's a post card from that day in Florida." If a person read this thread, they would have seen three different accounts of this race. They would have read that all three reports record events the same. Finally, a person reading the thread would HAVE ALSO READ THAT THIS RACE OCCURRED AT ATLANTIC CITY NJ, NOT FLORIDA. 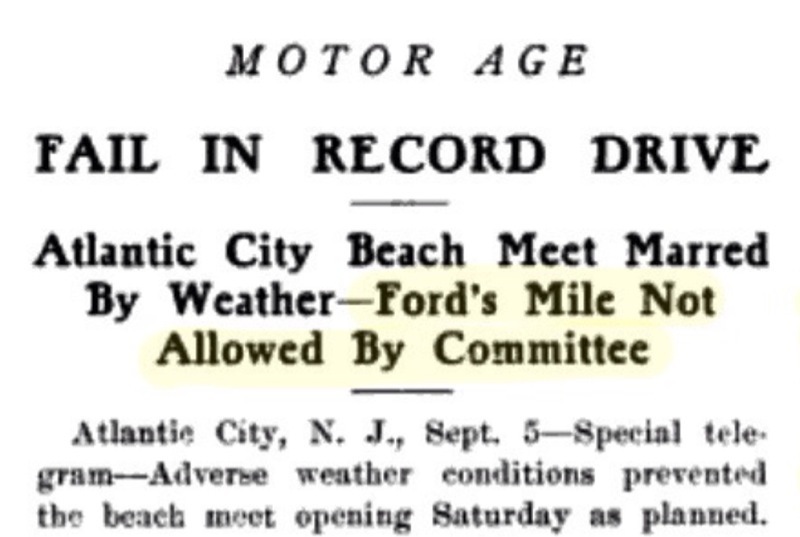 The article says that Ford's record was not allowed by the committee. So it was not a record. Bear in mind that a race shows which car was fastest that day, on that track. In the runoff, caused by the disqualification of the previous race, the Ford lost. The protest was upheld by the track officials. The Ford was not the winner. It lost. Officially. Rob, you are welcome to use anything you find on the internet. I don't care where you found it. If you want to use anything of mine for non commercial reasons, please feel free to do so. It is clear that you have a thin skin, and do not appreciate anyone else's opinion. If you feel I have violated some forum etiquette by adding a picture that shows the car being discussed, it is my opinion that you are mistaken. I believe you most likely saved that image from one of the ebay auctions where it was listed for sale, the same way I did. It is not your image, and it is not my image. It is history, and it needs to be part of the story. The reason I wished to know about the "image" is because I made a copy (by permission) from a private collection. I wondered if there was another "out there" because I don't have the reverse side, and hoped there might be more information on that side. The copy I posted is the only I've seen, so it appears that is where you copied it from, so no additional information. I don't care where you copy your attachments. if it is from my post, that would be the end of story. So, your first "lengthy" explanation about this being a timing reversal was....what? Now, you say it wasn't a record, because after the record was made it was denied due to protest. Well, guess so. Of course there is no record, that's the point of the entire thread. I wish you would spread your good cheer in places other than on my threads. This is an opinion forum. You or I can post if we have an opinion. Your posts are welcome on any of my threads - just have an opinion. I don't offer disrespect to anyone for having an opinion whether it agrees with mine or not. If you want to limit response to your postings, perhaps you could start a website limited only to Model K owners who agree with you entirely. You could make the site password protected so only you and that select band of your followers would be able to see it. What dates do you have for the 2014 races ??? I may see ya there ! Thank you for your research on the Model K.
For many of us, you have become the authority on the Model K in many ways. Looking forward to your writings and future publishing of your research. Please keep up the great work you are doing and enlightening us about the Model K. Beware of the hecklers in the back row who never add anything of importance. I have to agree with you that Ford won the first race. That is quite obvious. It is an official time, so it is a win. 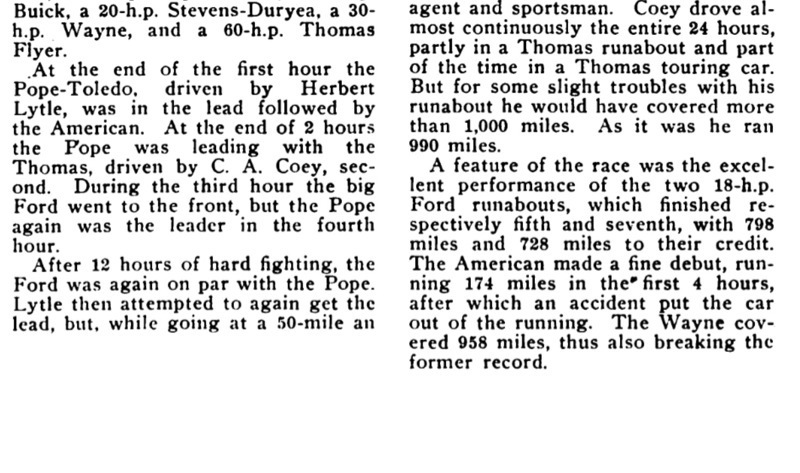 If one looks at the era in which this race was won, the gentlemanly thing to do was to redo the race. 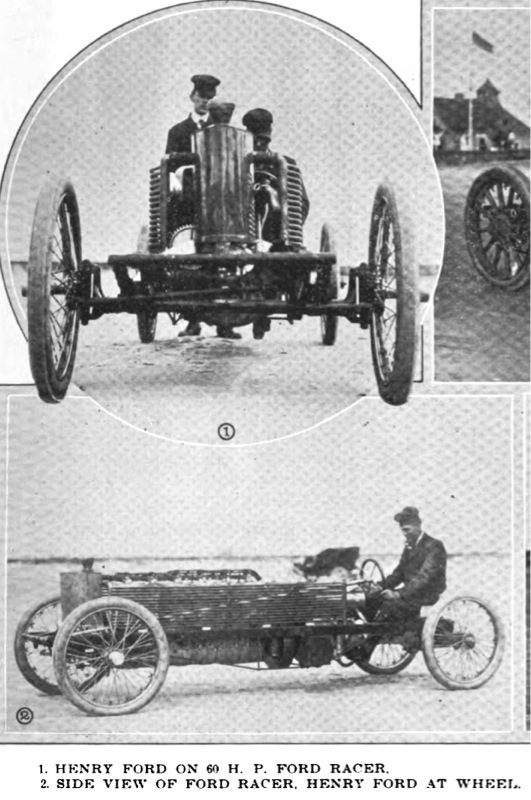 The second time around the Darracq one. They should have run a third race and given the win to the best of 2 out of 3. It just wasn't done that way in the early 1900's. We all know the Ford won, so that's that. A few more photos of the Ford six racer. These were taken at the Cape May race, a couple weeks prior to the race mentioned above. Henry Ford is driving, and as far as I can tell, this his last time trial race for record. From this point on Frank Kulick drives the racer in every official timed race (I've found). 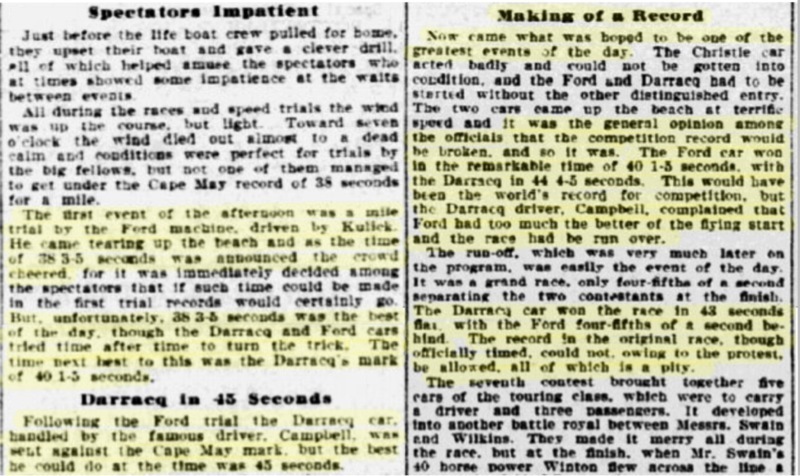 Henry Ford will have one more timed run with the six cylinder racer that I've found documented (this doesn't mean there aren't more), when he runs the racer for unofficial time showing the racer to Ford branch managers in the fall of 1907. Rob, just an observer these days. But I've been on here for awhile now and have noticed how Royce makes a special effort to pee in your Wheaties. But please understand, we all know what Royce is up to and what his purpose is. I've been reading your research for quite awhile now and find it fascinating. But I guess I've told you that before. At any rate don't let Royce get to you. it's not worth the effort. If anything he's caused you to work harder and provide so much more information for the rest of us. In so many ways we should thank Royce for his contribution to your efforts. I won't but, well, I think you understand in some twisted way you've done the work and Royce provided some of the impetus. God I hope I didn't just compliment Royce. Oh man, I don't know if I'll sleep tonight. Aw, it's ok, I don't think it'd be worth it to lose sleep because anything Royce has ever done.